Cleanup is based on a balance of three main factors, protectiveness, schedule, and cost. The whole point of cleanup is to contain toxic and radioactive wastes to protect future generations. 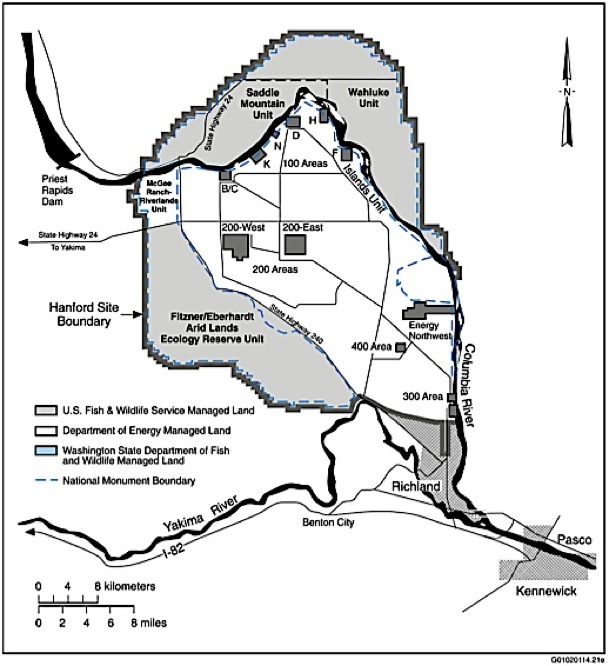 When Hanford transitioned from production to cleanup it became regulated by the State of Washington (Department of Ecology) and the EPA (Environmental Protection Agency). These two entities and the Department of Energy worked together to negotiate deadlines for cleaning up the site in the Tri-Party Agreement. When schedules slip, new problems emerge, and money runs short, the cleanup milestones are often moved to a later date. In August, the US Department of Energy released the 2011 Hanford Lifecycle, Scope, Schedule and Cost Report (the Report) for public comment. This annually updated report serves as the basis for preparing budget requests and for providing informational briefings. It’s also used to support discussion with Hanford regulators, EPA and the Department of Ecology on how and when the Department of Energy will complete cleanup, and how milestone changes will affect cleanup scope, schedule and cost. This is the first year the report has been issued. The next report will be issued in 2012. Here is a guide with links to information about the Report to help you weigh in. The Report is going to be a useful tool, however the trick is making sure the main emphasis is on protectiveness instead of cost. It’s an accessible report, not too long, and has good information in it. The danger is that cost concerns get a stronger emphasis than they should and protectiveness gets the short stick. The Report gives cleanup a $115 billion price tag with the caveat that this does not consider everything. It would be better, in my opinion to give a range of costs so that protective decisions are still options in the minds of those using the Report to fight for funding and prioritize cleanup work. You can check out the comments Hanford Challenge submitted here. All comments on the 2011 Lifecycle Report need to be in writing and submitted by November 10, 2011.